The law firm Nikolaus & Hohenadel, LLP, a Lancaster County law firm serving individuals, businesses and families throughout south central Pennsylvania, is pleased to announce a strategic expansion that will increase its presence in Elizabethtown and surrounding areas. Effective January 1, 2018, the attorneys and staff of Gingrich, Smith, Klingensmith & Dolan (GSK&D), based in Elizabethtown, PA, will join Nikolaus & Hohenadel, LLP. This addition to Nikolaus & Hohenadel, LLP aligns with the firm’s strategic goals to strengthen areas of practice and increase client base within surrounding areas including, York, Lebanon, Cumberland and Dauphin counties. With this addition, Nikolaus & Hohenadel, LLP, will grow to a firm of 25 attorneys and 34 staff with offices located in Elizabethtown, Lancaster, Columbia and Strasburg. “We know the attorneys at GSK&D to be highly skilled and reputable, and their practice strengths and geographic region are highly complementary to our strategic goals. Most importantly, we hold similar values, philosophies and a shared dedication to deliver high-quality legal services,” said Donald Nikolaus, Partner at Nikolaus & Hohenadel, LLP. GSK&D Attorneys John M. Smith, Kevin D. Dolan, Jeffrey S. Shank and Julie M. Cooper, and their support staff will continue to provide clients with the same high quality legal representation from their existing Elizabethtown office, which has been in operation since 1952. “The complexities of today’s laws demand a high level of expertise in many different areas of the law. Because it continues to be a priority for us to meet the growing needs of our clients, it is important for our firm to strengthen and expand our areas of practice. Joining Nikolaus & Hohenadel is a tremendously exciting opportunity for us, our staff and all our clients,” said Kevin D. Dolan, Partner at Gingrich, Smith, Klingensmith & Dolan. The practice areas of the new combined firm of Nikolaus & Hohenadel, LLP will include Real Estate; Personal Injury; Workers Compensation; Municipal Law; Zoning and Land Use Planning; Wills, Trusts and Estates; Business Practice; Tax Law; Family Law; Elder Law; Bankruptcy and Creditors/Debtors; Social Security; Civil and Commercial Litigation; Affordable Housing; and Intellectual Property. 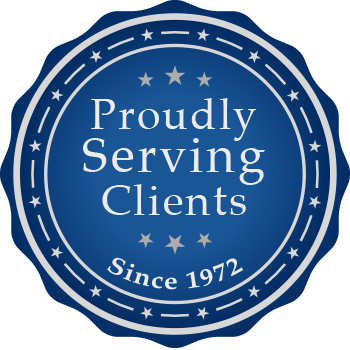 Nikolaus & Hohenadel, LLP is a Lancaster County law firm serving individuals, businesses and families throughout south central Pennsylvania. The firm began as a two-person partnership between Donald Nikolaus and Jack Hohenadel in 1972 and has grown to its present size with offices located in Lancaster, Columbia and Strasburg, and now in Elizabethtown, Pennsylvania.